One can always heave a sigh of relief when entering a capital city while looking for veg*n food. I combine vegetarian and vegan here as both are equally challenging. After a not so stellar experience in Otavalo, we headed down to Quito on New Years day and settled in a hostel. 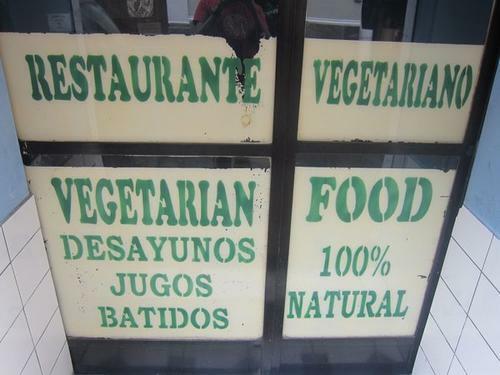 We’d eventually discover that all the (vegetarian) restaurants would be closed that day. Thank God for chifas! A chifa is a chinese food joint named so in some countries in South America. A chifa will always be open, come rain or shine, be it a Sunday or a New Years Day. Not unlike in the US where we’d be on a road trip during christmas weekend and would only eat Chinese food. 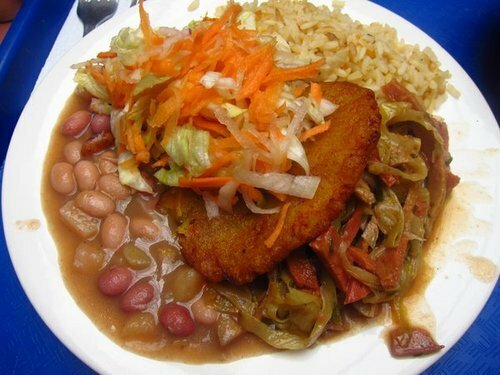 At a chifa, you can always get “arroz con verduras” or “tallarin con verduras”. Just dont forget to add “sin huevos” and the other “sins..”. There was a Chifa right next to our hostel, so dinner was taken care of. The following day, I eagerly dragged my husband to the local Govindas restaurant in Old town, Quito. To my complete and utter delight, I discovered not one but THREE vegetarian restaurants on the same block!! All had set lunches for under $4!! If you are in Quito, I implore you to walk around the block that has Govindas and check out all three places before you decide on lunch. Govindas and Kalpa Vriksha are both Hare Krishna restaurants right next to each other. 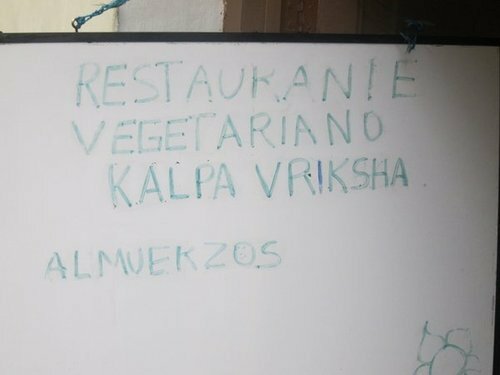 Go up the hill and turn left to find a nameless vegetarian restaurant. Deal? The meal at Govindas. 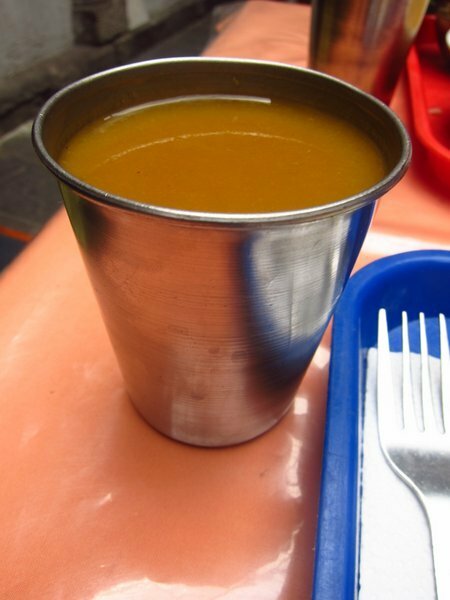 Comes with soup and juice. The other Hare Krishna resto right next door. Why are there two restaurants right next to each other serving the same kind of food? And to me, the crowning glory of our stay in Quito – finding authentic Indian food. 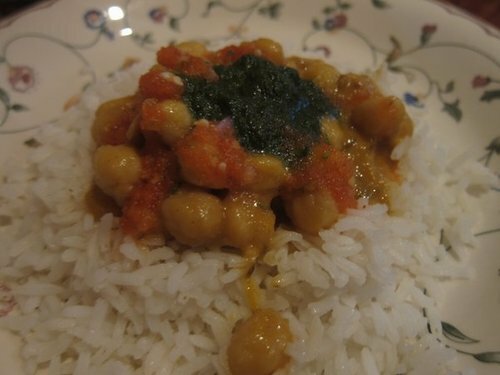 I was craving and dreaming chole and and was so so happy to finally find it at an Indian restaurant in Quito. 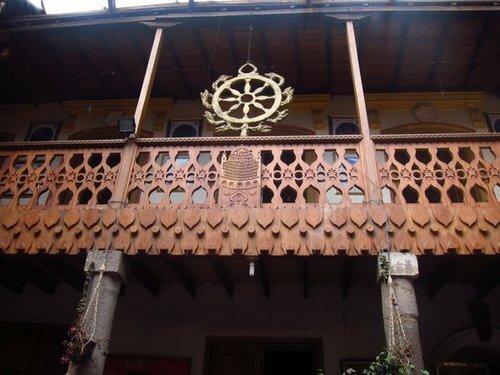 Indian restaurants in this part of the world are a rarity, so when a Russian girl at our hostel told us about this place, we walked 30 minutes to the La Mariscal district in Quito. When I say ‘we’, I am usually the initiator of food related activities and my husband just obliges.